Everyone is welcome at First Presbyterian. Children are encouraged to worship with their families. For more information on programs for children including Children's Church and Child Care, please visit the Children's page. 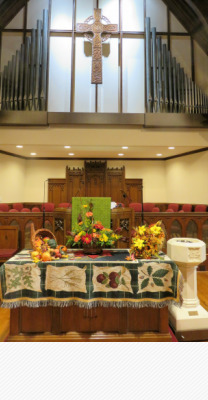 Handicap-accessible worship space - wheelchair space is available in the front and center of the Sanctuary. Hearing Loop - Adjust your hearing aid to the telephone setting to use our hearing loop.